For a lot of people, it’s hard to conceptualize the idea that nearly every audible sound in a movie or TV show is added after the initial shoot. When it’s done well, post-production audio is immersive, believable, and not something viewers are actively paying attention to. It should coincide so seamlessly with the visuals that everything feels right. Oddly enough, sound designers often make things much larger than they really are. For instance, setting a cup on a table produces a sound in real life, though it’s exaggerated for the sake of film or TV. Still, this doesn’t come across as strange to viewers; silence would actually be much weirder! Room ambience, clothes rustling, footsteps, wind howling, and any other sound you can imagine is added by post-production engineers. Even poorly recorded production dialogue can be re-done in a process known as ADR (automated dialogue replacement). In ADR sessions, actors mimic their on-screen performance in a studio to get clean dialogue takes. 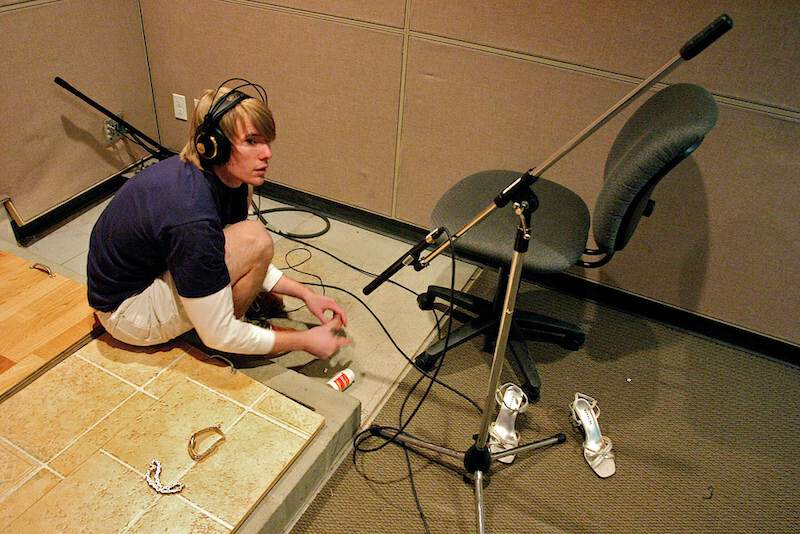 A foley artist at work. Sound design takes things a step further and includes creating custom effects with foley or otherwise to bring visuals to life. Foley, specifically, is the reproduction of “everyday” sounds using practical objects. A classic example is using coconuts to mimic the sound of a trotting horse. Foley also includes clothing sound, footsteps, and anything else that can be recorded with real objects. Sound design is just a single aspect of post-production audio and generally breaks down into two major categories: creative and realistic. Creative sound design can be thought of as making sound effects for things that don’t necessarily exist in real life. Sci-Fi films are a great example of when a lot of creative sound design comes into play. Think of it like this: in a series like Transformers, how do you sonically create vehicles changing into their robot form and vice versa? Metal machinery exists in real life, sure, but what does it take to give life to a Transformer? In most instances, big, distinct sounds like that are actually created by layering dozens or even hundreds of smaller sounds together. It’s the sound designer’s job to determine what something should sound like and build it from the ground up. Oftentimes this means recording a series of say, pots and pans or other metallic sounds, and adding them together until the desired effect is achieved. 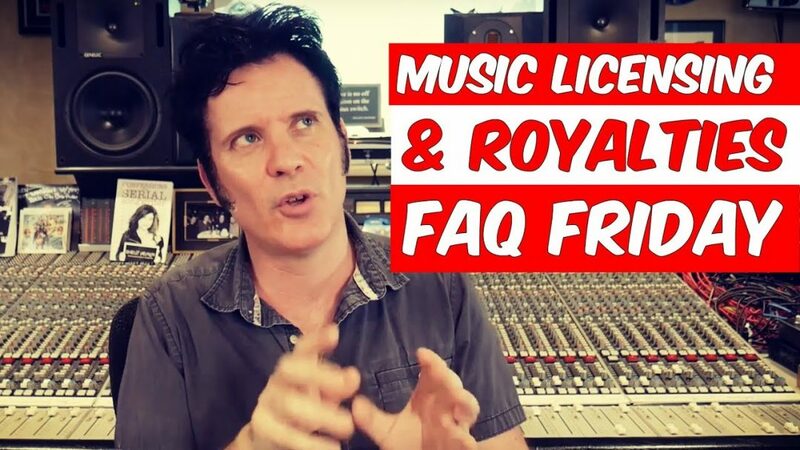 Sound designers may also pull from sample libraries that they’ve either accumulated themselves over the course of their career, or from suppliers. In the mix stage, sounds are further manipulated to suit what’s happening on screen, which may include added synthesizers, oscillators, or whatever the job calls for. The creative component of a sound designer’s job allows them to hear “normal” sounds and manipulate them into something unrecognizable. Most of us take the sound in film or TV for granted as a component that simply exists. However, painstaking care was taken to craft each individual sound effect to make viewers believe what’s happening. To recap, creative sound design is typically designated for scenes that don’t exist in the real world. The other major category, then, is realistic sound design. Realistic sound design refers to sonically creating scenes that exist in the real world. While it may sound simpler than creative sound design, the devil is in the details. Even in the most basic scene–let’s say, a character brushing his teeth–every sound must be added by the sound designer. Picking up the toothbrush, turning on the sink, applying toothpaste, clothes rustling, birds faintly chirping outside…and that’s just scratching the surface! If you can imagine, foley plays a huge role in realistic sound design. Each of the sonic occurrences described above can be acted out and recorded by a foley artist. And that’s all part of what makes it such an exciting and fun part of sound design. Still, it can be a very time-consuming and tedious aspect of post-production, especially when you’ve carefully considered the potential hundreds of sounds required to make a basic scene feel normal. If you’re wondering what it’s like to approach realistic sound design for a scene, take a moment to carefully listen to your surroundings. Close your eyes and really consider what you’re hearing in the given acoustic environment. Indoors you may hear the hum of an air conditioning unit, the ticking of a wall clock, the din of traffic in the distance, or any other multitude of day-to-day sounds. Outdoors, depending on your location, you’ll hear a bevy of different sounds happening constantly around you. Now, listen to how your footsteps sound in a bathroom versus how they sound on the lawn outside. Listen to your voice in a tiled hallway versus a carpeted bedroom. Sound designers and post-production engineers must consider all of these variables and make appropriate choices for the given scene. Proper use of reverb on footsteps or dialogue for the given the environment sets the tone and can make or a break a scene entirely. Because of this, realistic sound design is just as difficult, if not more so, than creative sound design. the bulk of post-production audio can be lumped into two broad categories of sound design: creative and realistic. Creative design involves analyzing a scene that could not occur in reality and customizing effects tailored to that scene. A lightsaber in Star Wars, for instance, is an example of a creatively designed sound effect. On the other hand, anything that exists in the human world can be put into the realistic sound design category. Natural, day-to-day sounds and acoustic environments can all be recreated for film or television using realistic sound design techniques. Foley, or reproducing natural sounds with a variety of objects, plays a major role in this approach to post-production audio. The next time you’re watching a movie or your favorite TV show, I challenge you to carefully consider each of the sounds occurring on screen. Remember that all of them were added after shooting the scene by a team of talented sound designers and post engineers. It takes a ton of work to make a scene sound and feel so immersive!